Marseilles and Lyons, already in revolt, were much encouraged by this response to an event that anti-Jacobins in both cities had long been predicting. They were already co-operating between themselves: one of the first steps of the Lyons insurrectionaries had been to send fraternal delegates down the Rhône to co-ordinate with the Marseillais, and they arrived just as the news from Paris broke. In Marseilles a popular tribunal was re-established in defiance of a decree from the Convention on 15 May suppressing a previous version: it was used to persecute Montagnard sympathizers throughout the Bouches du Rhône department. On 12 June Marseilles formally declared itself ‘in a legal state of resistance against oppression’ and announced the formation of a ‘departmental army’ which would march on Paris under the slogan One and Indivisible Republic; respect forpersons and properties. By early July it was advancing on Avignon, which it occupied. Meanwhile at the other end of the Rhône Lyons had followed Bordeaux in establishing a Popular Commission (24 June), which ordered the raising of a departmental force intended to number 10,000. Eventually, it did reach about 4,000. When, in mid-July, the Convention proclaimed Lyons a city in rebellion and advised all loyal citizens to leave, the new authorities responded by executing Chalier, whom it took four falls of a blunt guillotine blade to despatch. Thus surfaced one of the many divisions that were to bedevil and ultimately doom what Parisians called the ‘Federalist revolt’. But these weaknesses were not visible at the start, and certainly not from the viewpoint of the capital. From there, it looked to many in June 1793 as if much of France was in revolt against the Convention, and there was wild talk (too often repeated uncritically by historians) of 60 or 70 out of the 83 departments repudiating central authority. Centres of revolt, of course, had every interest in making similar claims. More sober observers, even at the time, refused to be panicked. On 31 July the administrator of nationalized property, whose office was naturally sensitive to the slightest tremor of anti-revolutionary activity, noted serious resistance in only eight departments. Nevertheless, the country’s second, third, and fourth cities lay in these recalcitrant districts, so the ‘Federalist’ challenge could scarcely be brushed aside. What was easier was to misunderstand it. It was not an attempt, however it might look, to break up the one and indivisible Republic. In the eyes of the rebels, wherever they arose, it was Paris which was sowing division in the Republic by dictating to and then tampering with the deputies elected by the rest of the nation. The Revolution of 1789 had been against centralization, that tool of Bourbon despotism. The failure of the constitution of 1791 to guarantee the disappearance of despotism had produced the Convention, but its purpose was supposedly to strengthen rather than abandon the principles of 1789; and not least local autonomy. Yet instead new intendants, the representatives on mission, had been sent out to the provinces with limitless powers; and although they came on behalf of the sovereign Nation incarnated in the Convention, that body itself was now hostage to the ‘anarchists’ and ‘blood-drinkers’ of the Paris sections. Nor were the leaders of ‘Federalism’ royalists, although royalists were happy to lend them support if it would foment division in republican ranks. As the commanding general in the south-west reported of the Bordelais on 5 June: ‘They appeared to me determined not to involve themselves in Parisian affairs, but more determined still to retain their liberty, their property, their opulence… They don’t want a king; they want a republic, but a rich and tranquil republic. That, however, could scarcely mean a republic at war; and what the ‘Federalists’ appear to have resented if anything even more than the grip of the sansculottes on other deputies was the range of emergency measures any government would have felt obliged to take to cope with the downturn in French fortunes that spring. Conscription, enhanced police powers, market controls, and forced loans, actual or threatened, were now coming on top of years of upheaval tolerated only because of the promise of calmer times to come. For ports there was the added blow of enemy activity. Whatever their losses, men of property doubtless rode out these tribulations better than those with little or none; but the disappearance over the summer of 1792 of the distinction between active and other citizens seemed to place the power to exercise authority enhanced by the emergency in the hands of those with least to lose. Embattled Jacobins in Marseilles, Lyons, and Toulon were reckless in their reliance on threats against property to retain power seized in the aftermath of the fall of the monarchy. Inevitably they expected support from the Montagnards, and inevitably they got it. But just as inevitably those who turned against one turned against the other. Nor was it just the rich, although they certainly gave the lead. ‘Federalism’ could never have got the grip it did (however transitory it proved) without support from many ordinary people who feared and resented what Jacobinism meant for them in the form of instability, inflation, and shortages–similar preoccupations, ironically enough, to those of the sansculottes in Paris. And they no more wished to be conscripted to fight distant enemies than the peasants of the Vendée or Brittany. This attitude proved (more irony!) fatal for the very resistance they supported. For the most striking failure of ‘Federalism’ was the dismal record of its departmental armies. If Marseilles was able to make up a force which at its largest seems to have reached 3,500 men, Bordeaux only put together a third of its 1,200 target. When the first Breton volunteers arrived in Caen they paraded through the town expecting to be joined by swarms of Norman recruits. Only seventeen came forward, and the Finistère battalions almost went home there and then. Nor did those who did volunteer show much willingness to march far from home. The Marseillais never got beyond Avignon. The Bordelais marched south rather than towards Paris, and ended up encamped in vineyards a mere 20 miles up the Garonne. A combined Breton and Norman force did better: leaving Caen on 8 July, about 2,000 men passed Evreux on the twelfth making for the Seine. But the next day they turned tail and ran at the first shots from forces sent against them by the Convention at Brécourt. They did not stop running until they were back in the Calvados. 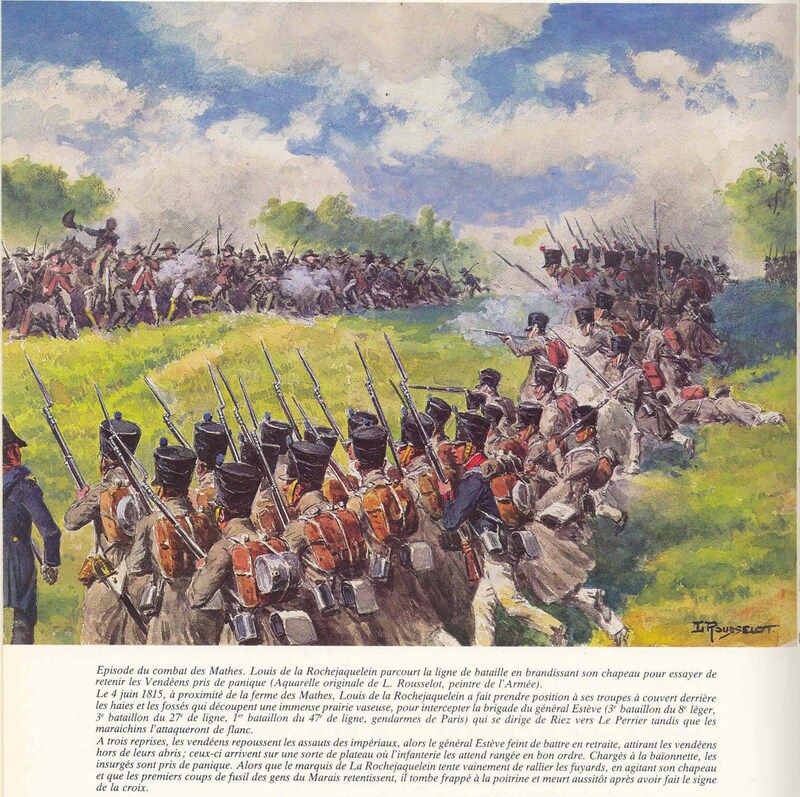 Reluctance to leave their home territory was also to bedevil the Catholic and royal armies of the Vendée; but in June 1793 this weakness had not yet emerged as they continued to drive republican troops before them. On 10 June a hitherto unknown leader, a petty nobleman of some military experience called Charette, retook Machecoul from ‘blues’ who had captured it in April. On the nineteenth, the rebels crossed the Loire and entered Angers, which the republicans had evacuated. On the twenty-ninth they appeared before the greatest prize of all, the Atlantid port of Nantes. Throughout the spring Nantes had been one of the foremost centres of support for the Girondins against Parisian and Montagnard extremism, but as the forces of counter-revolution approached, the city authorities recognized that it was no moment to renounce the Convention. Appeals from other Breton cities to provide a contingent for the departmental army assembling at Caen were rebuffed. So was a call to surrender from the Vendéan army. The attack, when it came, was ill coordinated, and the city resisted with more determination than its besiegers had ever expected. After two days of assault, the attackers withdrew. Nantes, however grudgingly, had held firm for the Jacobin Republic against its enemies of both types. The worst moment in the Montagnards’ struggle to keep control of France had passed. It was fortunate for them that their opponents were so divided and uncoordinated, because even in Paris itself the weeks after the purge of 2 June were chaotic. Few deputies positively welcomed the purge of national representatives, and a number who had no special links with the proscribed deputies went out of their way to condemn the deed openly in letters to their constituents. Seventy-five signed a secret protest between 6 and 19 June; it would later be used to condemn the signatories in their turn as Girondins. The loose conditions of arrest imposed on the twenty-nine, while the Convention decided what to do next with them, also showed how reluctant their colleagues were to treat them as criminals. Only when a number of them escaped from Paris were those remaining confined more closely. To the radicals who had launched the insurrection on 31 May such laxity smacked of treachery–all the more so as the Montagnards had shown themselves determined from the moment of their triumph on 2 June to dissociate themselves from the allies who had made it possible. From 3 June onwards the Committee of Public Safety began a relentless campaign to whittle away the independence of the central committee of the sections which had organized the insurrection, and on the eighth it was merged into a body firmly under the control of the constituted departmental authorities. At the same time the Montagnards sought through popular questions to cut the ground from under the feet of those who expected a radical new dawn, such as the enragés. Already on 2 June itself, before proscribing the Girondins, the Convention had voted in principle to establish a ‘Revolutionary Army’. There was nothing military about this idea, which had first surfaced in April, and become a staple of discussion in the sections over succeeding weeks. This sort of army would be a band of patriotic vigilantes, solid sansculottes, who would march into the countryside, or anywhere else their services might be required, to root out and punish traitors, hoarders, moderates, the indifferent, and suspects of all sorts. On the same day the Convention also voted to discuss the constitution every afternoon until a draft was ready. Moving with determined speed, it had produced by 10 June one which was deliberately designed to win popular approval, in both Paris and the country at large. Gone, in this project, were the checks, balances, and elaborate electoral limitations proposed by Condorcet in February and hotly debated since then. The separation of powers and extreme decentralization deemed so essential in 1789 were also largely abandoned. The constitution of 1793 provided for a unicameral legislature elected annually by direct manhood suffrage, and the legislature would choose the executive council. It was prefaced by a declaration of rights twice as long as that of 1789 which guaranteed to all citizens, in addition to the rights proclaimed then, public assistance when in need, state education, and the right to resist oppression by insurrection. On 24 June the project was ratified, and copies were sent out to all the primary assemblies which had elected the Convention for their approval in a sort of referendum. The aim was to secure this approval by the first anniversary of the fall of the monarchy on 10 August. Meanwhile the Convention also moved to appease the peasantry. On 3 June the sale of émigré property in small, affordable lots was ordered. On the tenth it was decreed that all common lands might be redistributed among inhabitants of the communities where they were situated. On 17 July all remaining feudal rights still notionally in existence until bought out were abolished outright without compensation. All documents relating to them were to be collected and officially burned. But none of this meant much to the sansculottes who, with their Girondin enemies out of the way, were now preoccupied once more with the supply of foodstuffs and other basic commodities. By the second week in June Paris was full of complaints against butchers and the price of meat. By the third week there were renewed fears for the bread supply as rumours came in from Normandy that the rebels in the Calvados would attempt to blockade the Seine. Roux, Varlet, and the enragés, frustrated in their desire for a more radical purge on 2 June, now sought to capitalize on this continuing unrest. Roux proposed at the Cordeliers that the new constitution should include a mandatory death sentence for usurers: and speculators. ‘Liberty’, he declared, ‘does not consist in starving your fellow men.’ On the twenty-fifth he led a deputation from the more radical sections to the Convention, where he denounced the deputies for their inaction on hoarding and speculation and suggested that they, and the Montagnards in particular, were scarcely better in such matters than the despots of old. The outraged deputies threw him out;but attacks by women that very day on soap suppliers, whose stocks they sold at their own prices, showed that he was articulating real grievances. 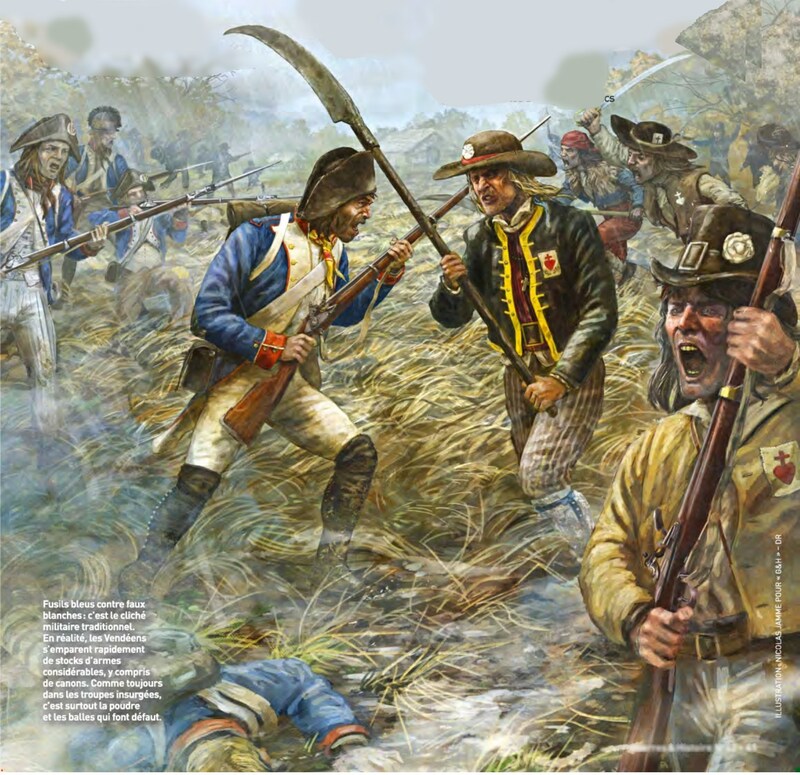 The Montagnards made a determined attempt to break Roux and destroy his influence. They were able to dislodge him from office as editor of the commune’s news sheet, and engineer his expulsion from one of his power bases at the Cordeliers. Marat, the vehement friend of the people, though now debilitated by a skin disease only relieved by constant bathing, was persuaded to denounce the enragés and all they stood for. But such infighting among the victors of 2 June was brought to an abrupt halt in mid-July when ‘Federalism’ struck its first (and, as it turned out, only) blow in Paris. Rumours of tens of thousands of Marseillais, Lyonnais, and Bordelais marching on the capital had been current for weeks. But it was a single, determined emissary from Caen, acting on her own, who visited Girondin revenge on their most ferocious adversary. On the thirteenth, Charlotte Corday stabbed Marat to death in his bath. Here was a new Montagnard martyr, and a much greater one than Le Peletier, or Chalier, news of whose grisly end came in from Lyons a few days later. For all his ferocity, Marat had only been influential since the previous summer, and thanks to his illness his great days were already over. But loss of his counterweight against the enragés seemed serious, even if the initial impact of his murder was to stun the sansculottes. It seems to have galvanized the Montagnards into more positive action. They made the most of their martyr, of course. On 8 August they even paraded his widow before the Convention to denounce the enragés as agents of Austria and England. But the realization was now dawning, as disaster upon disaster was reported from the war fronts and from rebel departments, that much more ruthless and determined action would be required if the crisis facing the Republic was to be overcome. Problems of government would have to be taken more seriously. Danton, suspected of excessive trimming, had already been voted off the Committee of Public Safety on 10 July. So had his right-hand man Delacroix. Two weeks later (26 July), convinced at last of its value, Robespierre accepted nomination to the Committee, noting to himself that its priorities must be ‘food supplies and popular laws’. A law against hoarding passed that very day, making it a capital offence, seemed just what was needed. The new constitution, too, appeared to have achieved its purpose. The primary assemblies endorsed it by 1,801,918 votes against 11,610–not a brilliant turnout, but respectable enough at a time of civil war. The promulgation ceremony on 10 August, therefore, went ahead as planned, with a huge procession wending its way through Paris to where eighty-three pikes, one brought from each department by a patriot ripe in years, were bound into a huge fasces symbolizing republican unity. The constitution itself was deposited in a cedar box and suspended from the roof of the Convention hall. Theoretically, the Convention’s work was now done. Like the Constituent Assembly before it, it could dissolve itself and make way for regular, constitutional government. Delacroix proposed just this on the eleventh. That same night, however, Robespierre denounced a proposal which could only bring to power ‘the envoys of Pitt and Coburg’. The current emergency, when the very survival of the Republic was at stake, was not the time to increase political uncertainties. The constitution could not safely be brought into force in time of war. So long as the emergency lasted it would remain suspended, in every sense.